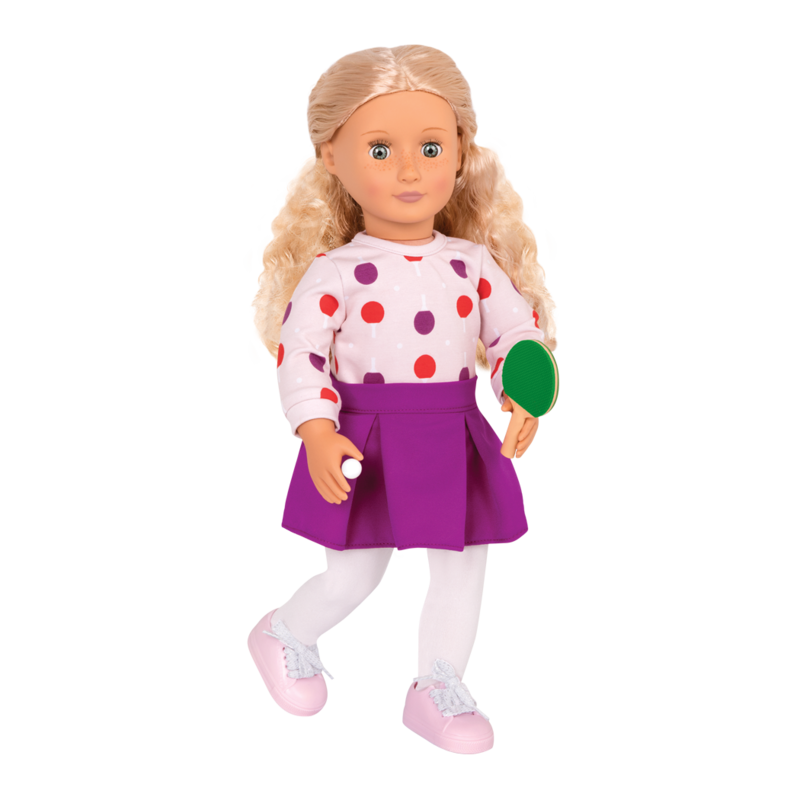 Let your doll become the table-tennis champion and look super great while she’s doing it with the Our Generation Ping Pong Pro outfit for 18-inch dolls! 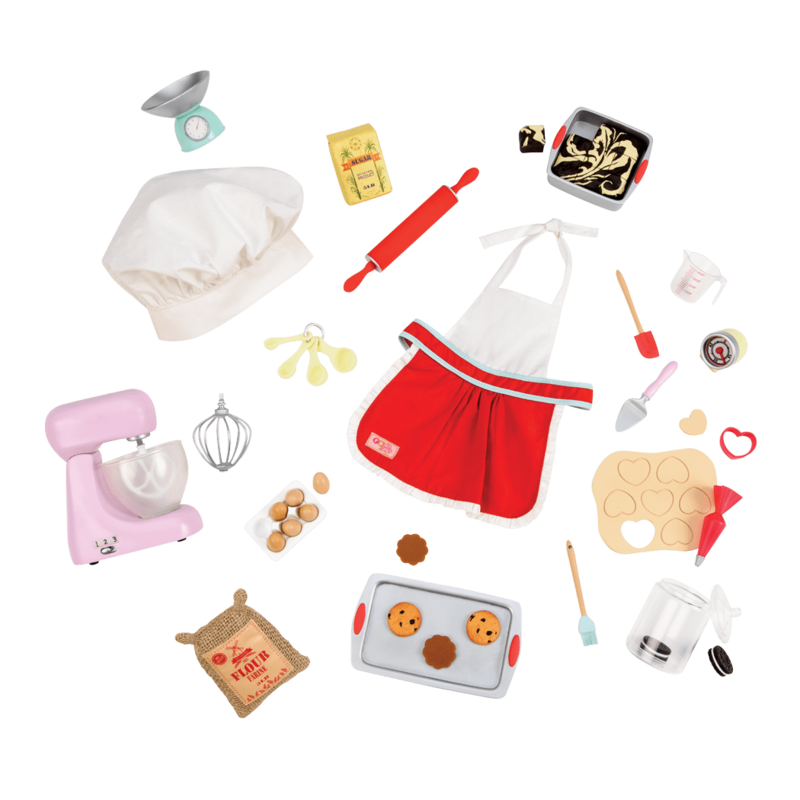 Ping pong Accessories for 18-inch Dolls! 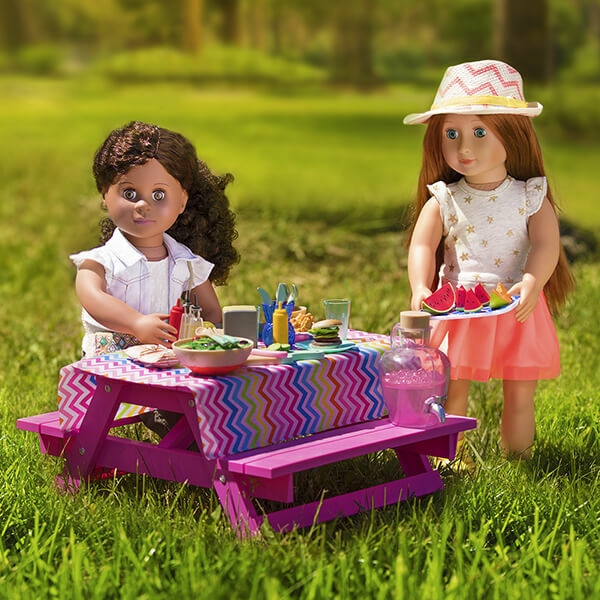 Serving up style with a topspin! 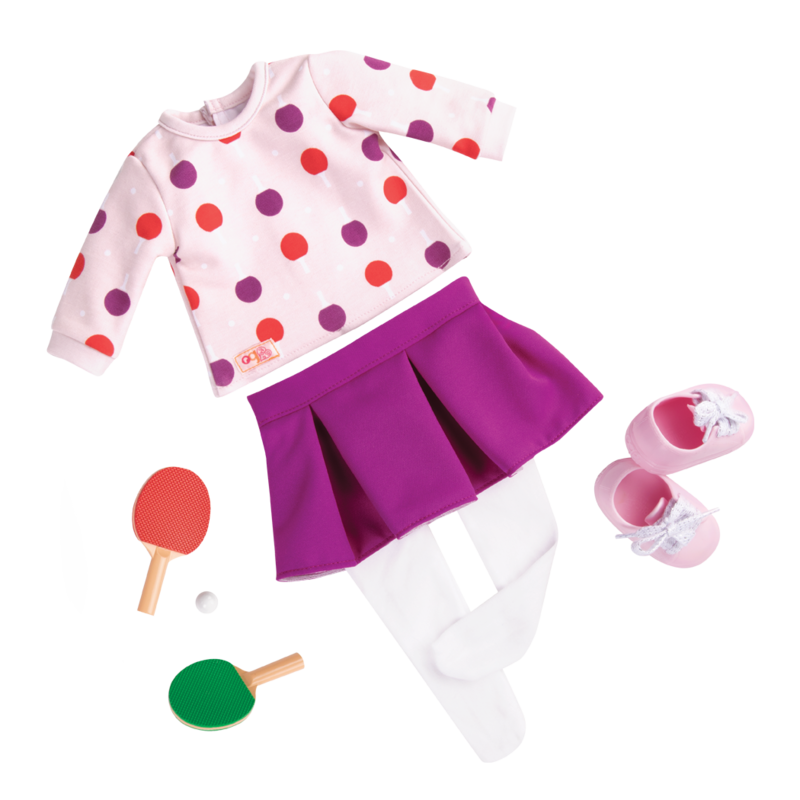 Start with the pink, long-sleeved top covered in bright red and purple ping-pong paddles! 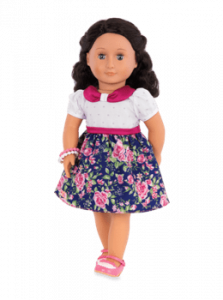 The pleated purple skirt and pale pink sneakers with real laces are perfectly coordinated with the look. 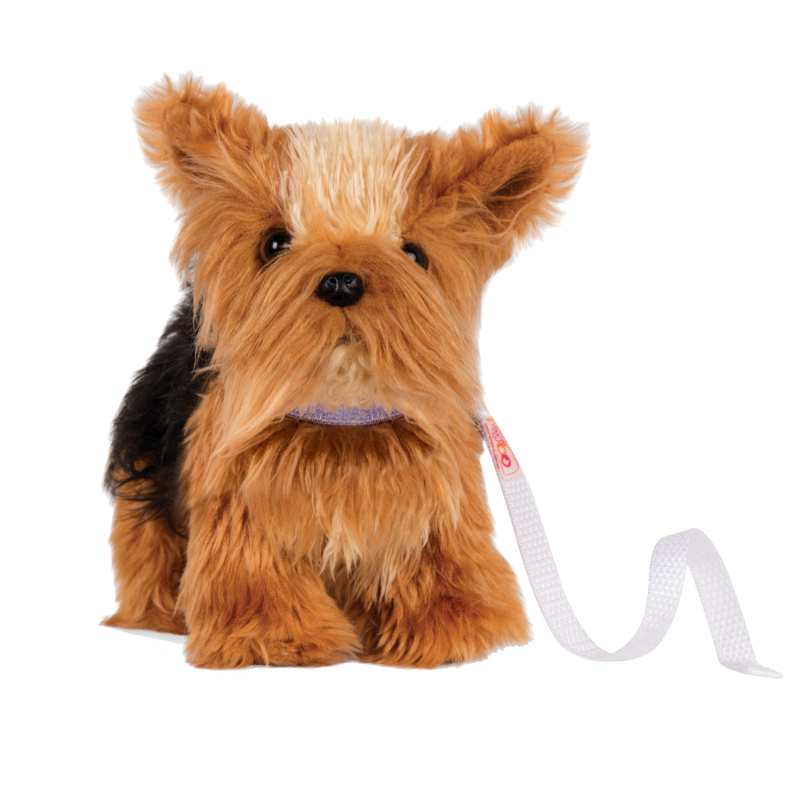 Don’t forget the ping pong paddles and the ball! 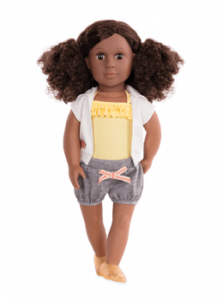 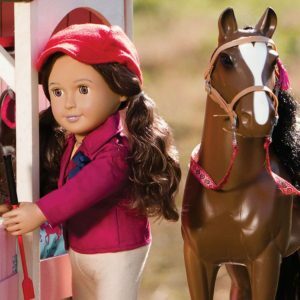 All the pieces in this outfit are easy to mix and match with other Our Generation clothes for 18-inch dolls, so they make a perfect addition to any doll’s wardrobe. 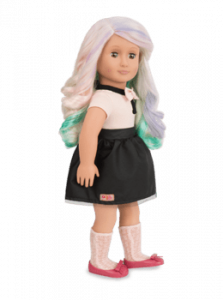 Have you met Coral, the doll in the pictures who is modelling the Ping Pong Pro outfit? 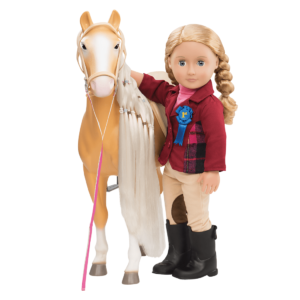 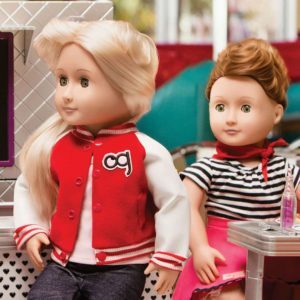 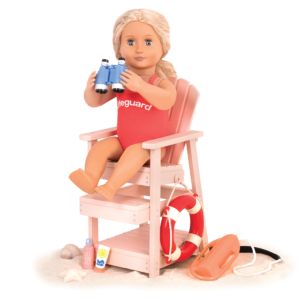 She is a beautiful 18-inch doll who has long, curly blonde hair and blue eyes. 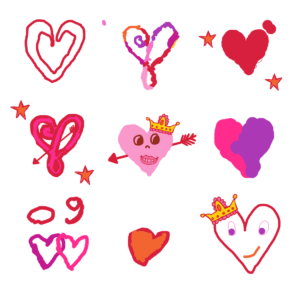 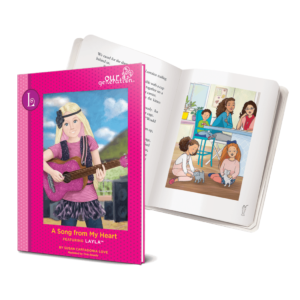 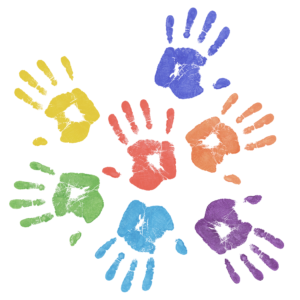 She also has a storybook of her very own, and you can read it on this site! 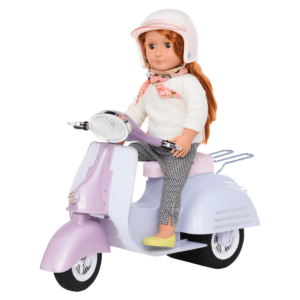 For more fun with your favorite dolls, check out the OG Ride Along Scooter, a super-cool scooter vehicle for your favorite doll and a side-car for her special pup! 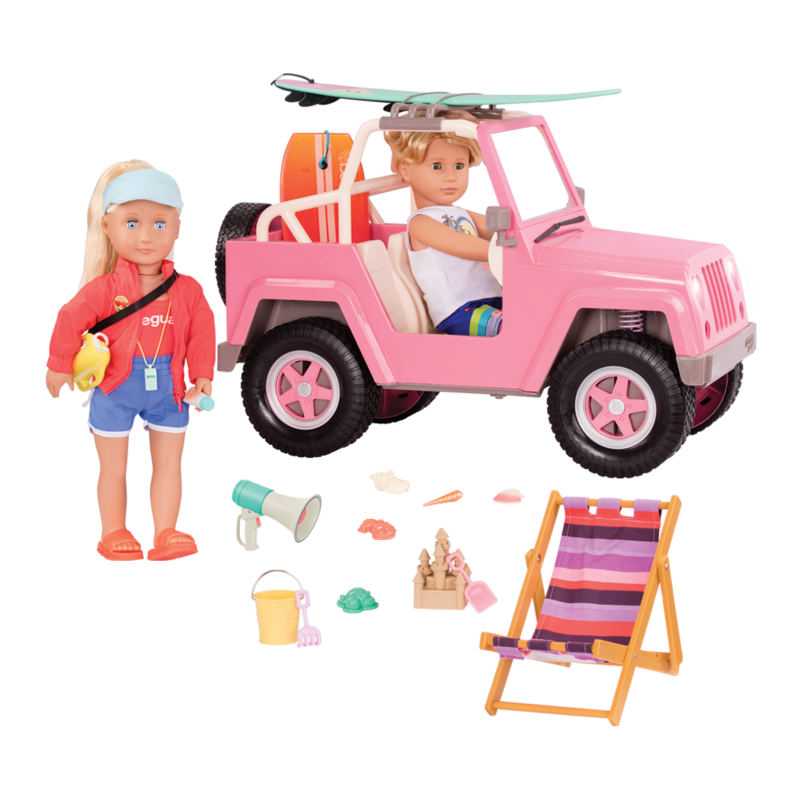 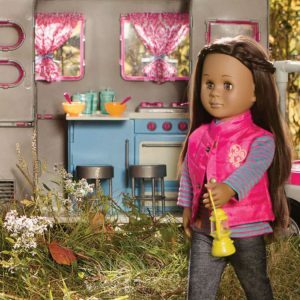 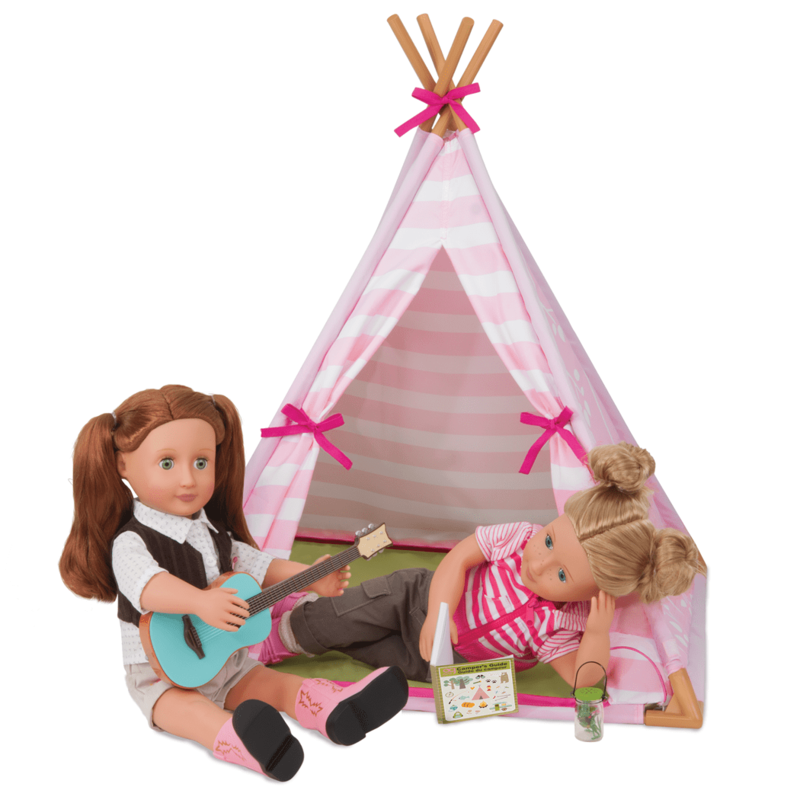 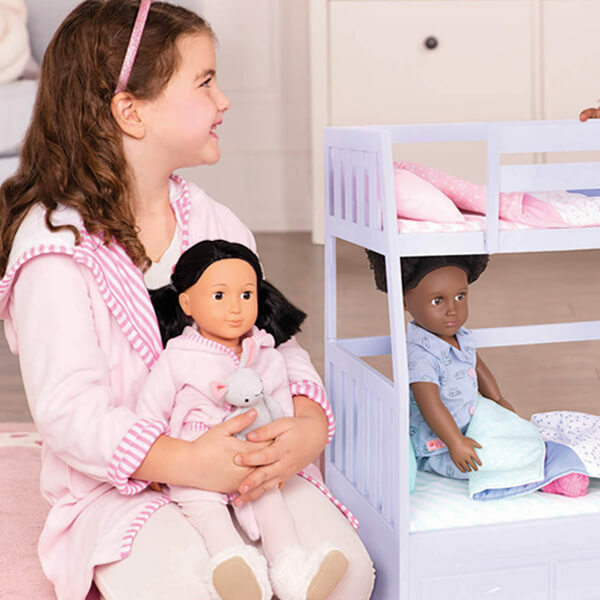 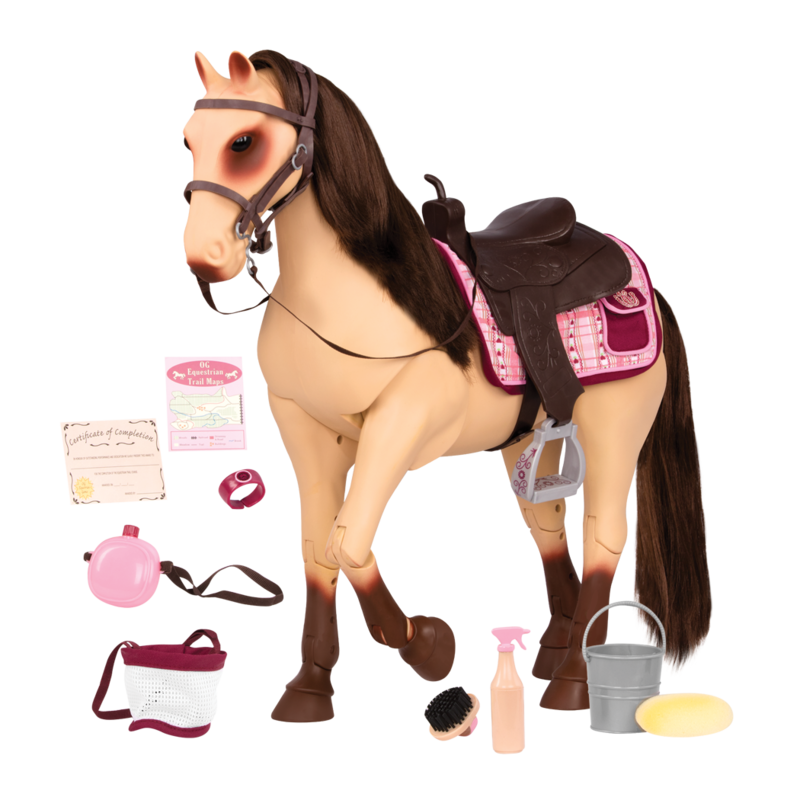 And if your doll loves playing in the great outdoors, set her up with the Happy Camper Set accessory set including everything you need for a fun night sleeping under the stars!